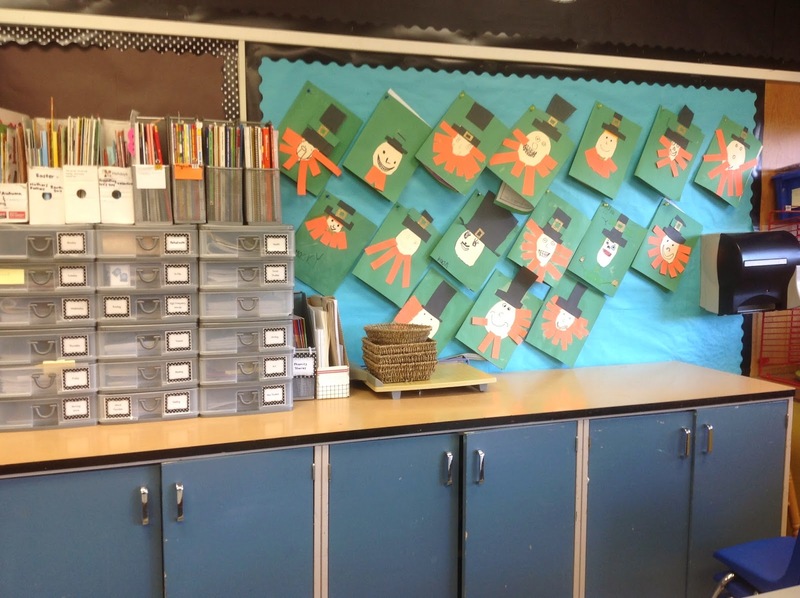 I am on Spring break right now and I planned to do outings with my own children for most of the days, but it was important to me to spend one full day in my classroom organizing and purging. I spent eight hours in my room and I'm glad that I did! There is still (always!!) more to do, but it's certainly better than when I started. 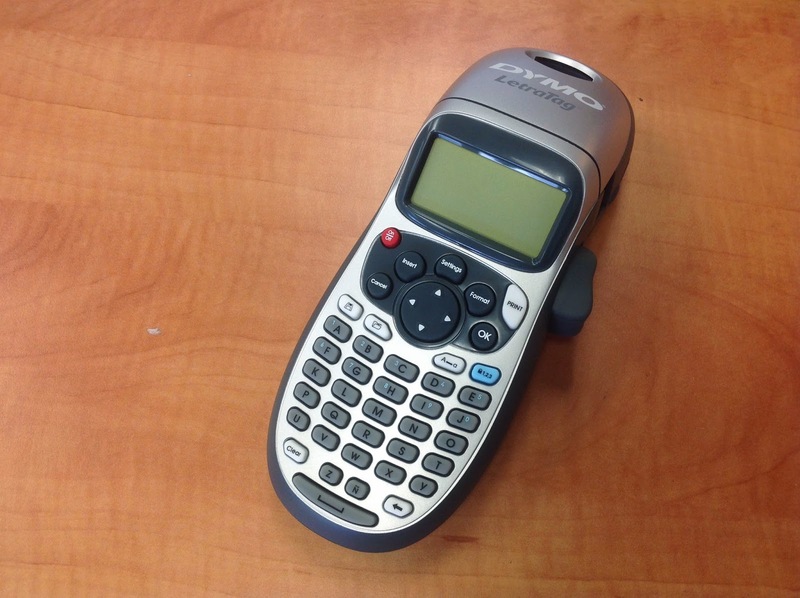 I renewed my love for my label-maker. On the last day before Spring break, I organized my desk drawers again. No matter how hard I try, it always gets messy over the course of the year. 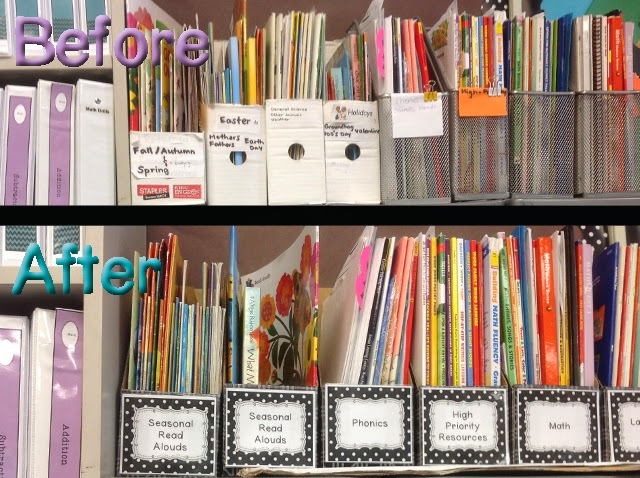 For my day of spring cleaning my class I had no interruptions and I was able to purge 60% of my thematic resources that I've been collecting since the beginning of my career. Before going in, I told myself that I was not going to print or prepare any classroom materials. My day was going to be only for organizing and purging. It was such a productive day as a result! I managed to go through ten Sterililite monthly bins and condense down to seven, some of which are now only around 1/2 full now! 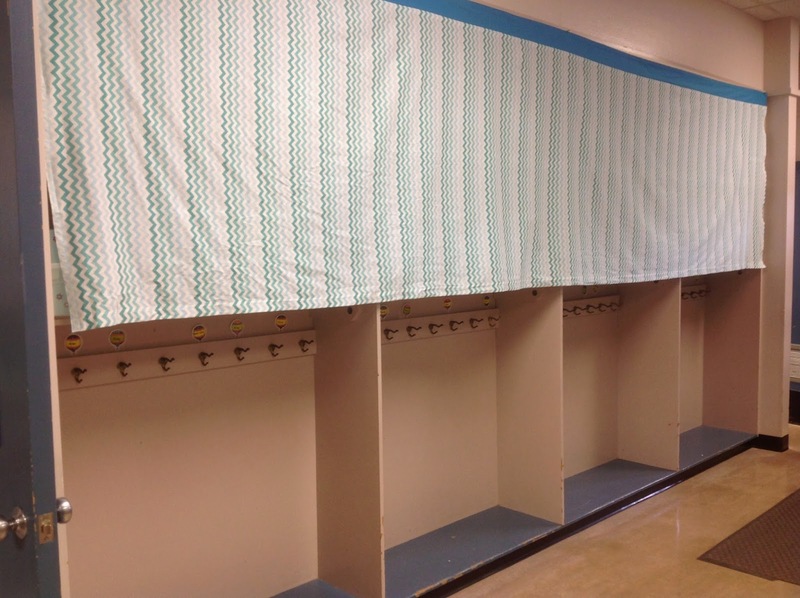 In summer of 2013, my mom sewed curtains to cover up this storage area. Now that it looks so organized, it doesn't really need to be hidden, but at least it's a lovely sight to see when the curtains are lifted up! 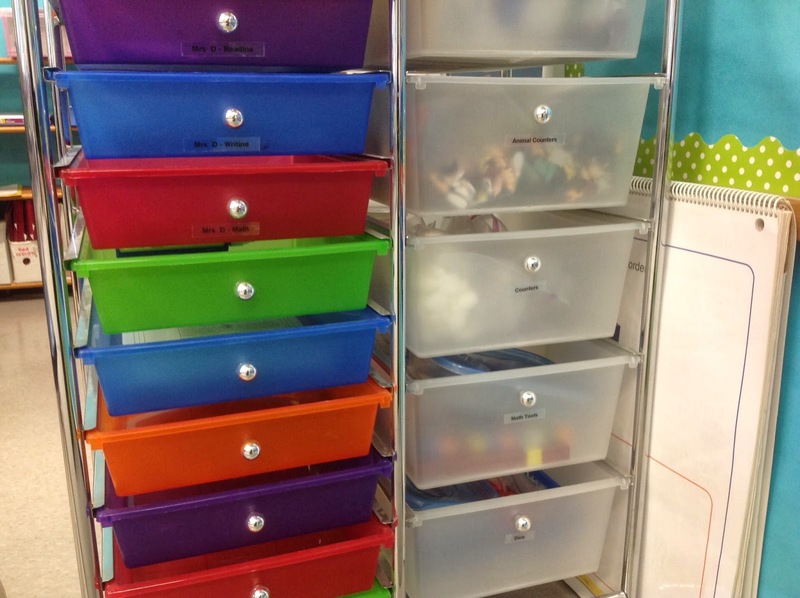 Consolidating my month boxes allowed me to use the remaining extra empty Sterilite bins to store my math centers, since my previous bins were beginning to overflow. 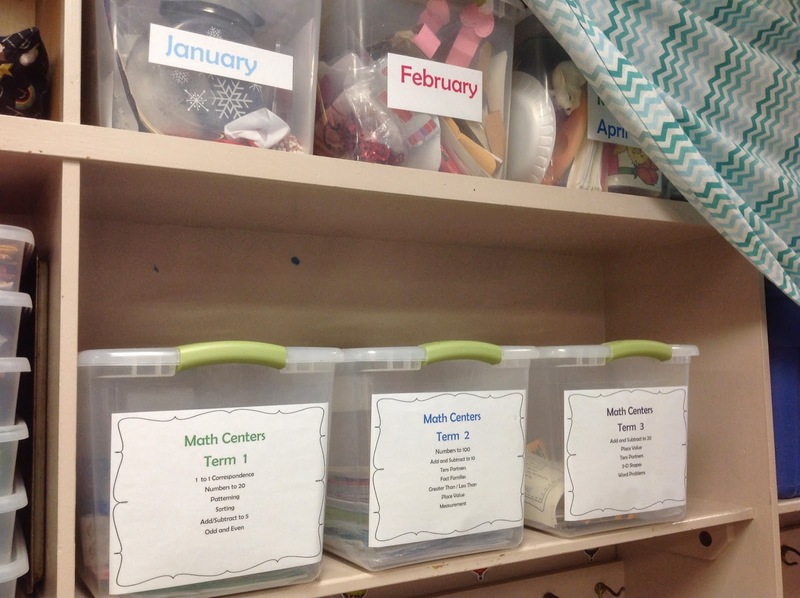 I really only started to math centers this year. Previously I've been doing mostly whole-group math with some pull-out, but centers are really the way to go to add differentiation and fun to the day. 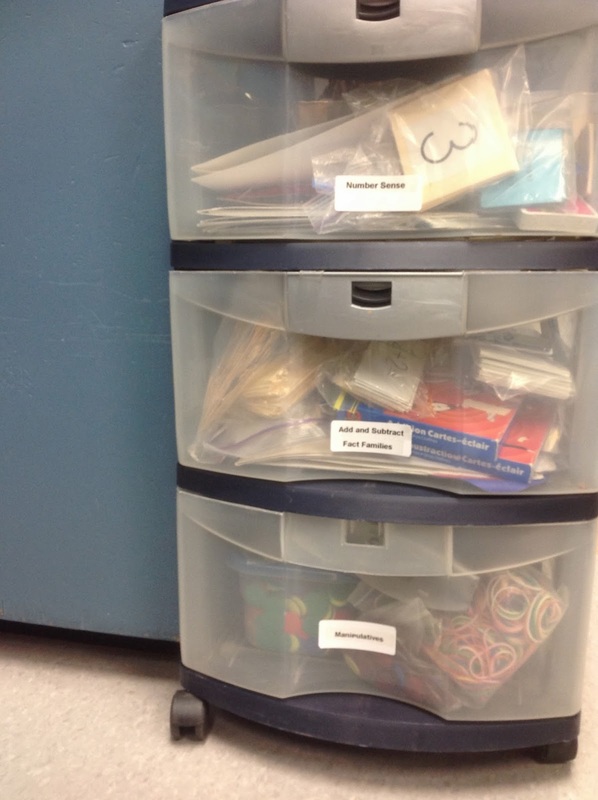 I also completely organized my math tool cart which was previously in a major state of disorganization. 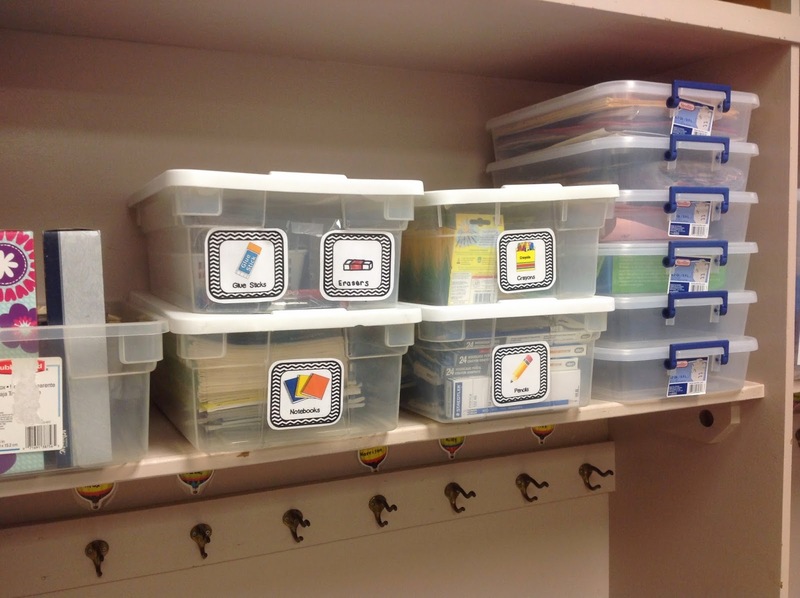 I also labeled more of my teaching area cart drawers. I keep this cart near the carpet and it stores calendar items, manipulatives we use often, and supplies I need for demonstration purposes like crayons, scissors, whiteboard markers, and the remotes for the Apple TV and projector. I also reorganized my shelving area a bit. I'm now using an entire shelf for my upcoming read-alouds, instead of storing them on precious counter space. Up next on my plan is to replace the ugly magazine holders with some pretty ones. Next I cleaned up the kids' writing center. I organized and labeled the drawers. I still want to put pictures that match each label (for the type of paper inside) but I didn't want to spend time creating labels, as that is something I can easily do at home. 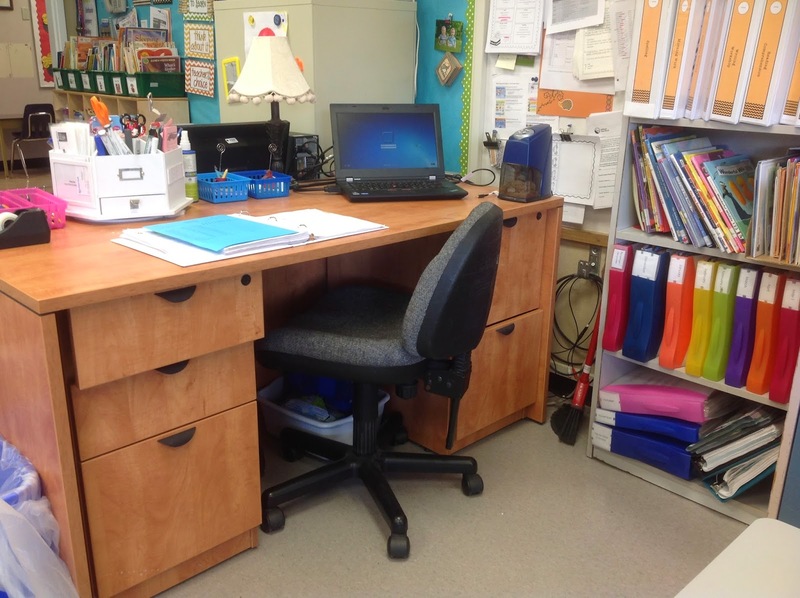 I have to make-do with this shelf setup because there are two teacher desks in my room this year. Next year there will only be one, so I will have a space for an actual writing center table. 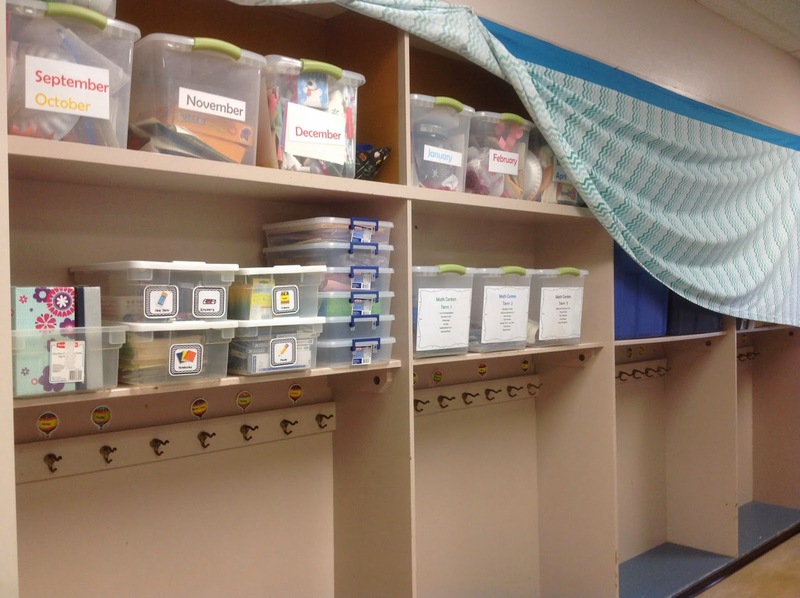 Next I took all of my students' extra school supplies out of the blue cupboard and organized them more neatly into bins that I had emptied out during "The Big Purge". I labeled them and stored them in the hallway on some reclaimed shelf space. 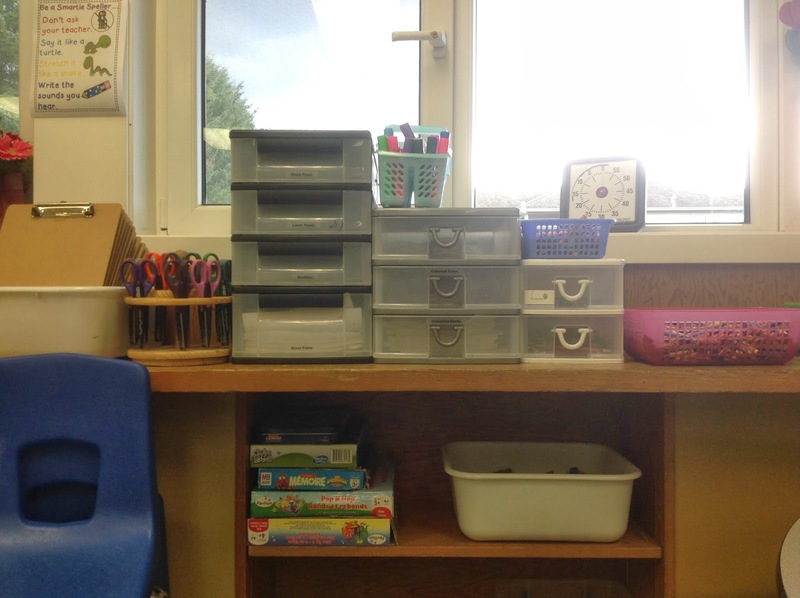 Additionally, with the new available storage space I was able to put my out-of-use word work bins (the thinner ones) out of the way, instead of on the counter where they used to sit. 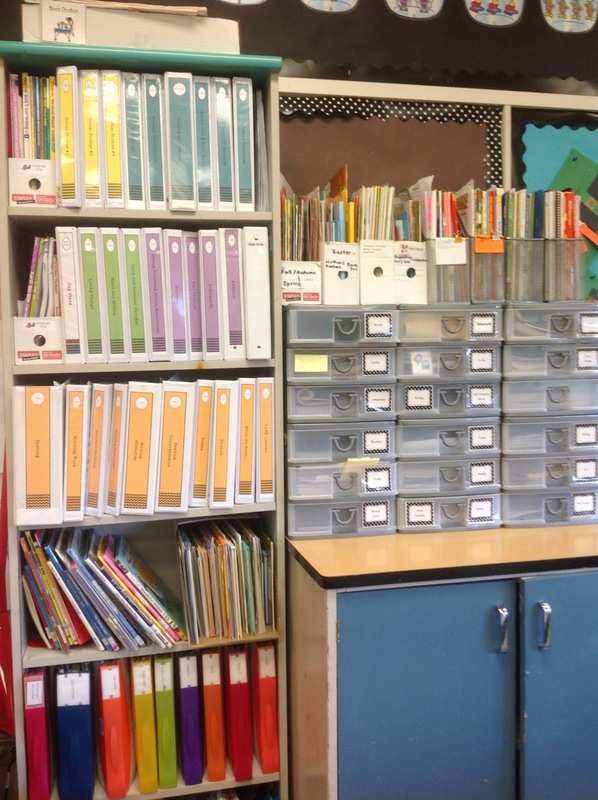 It's amazing how quickly we as primary teachers can accumulate things. 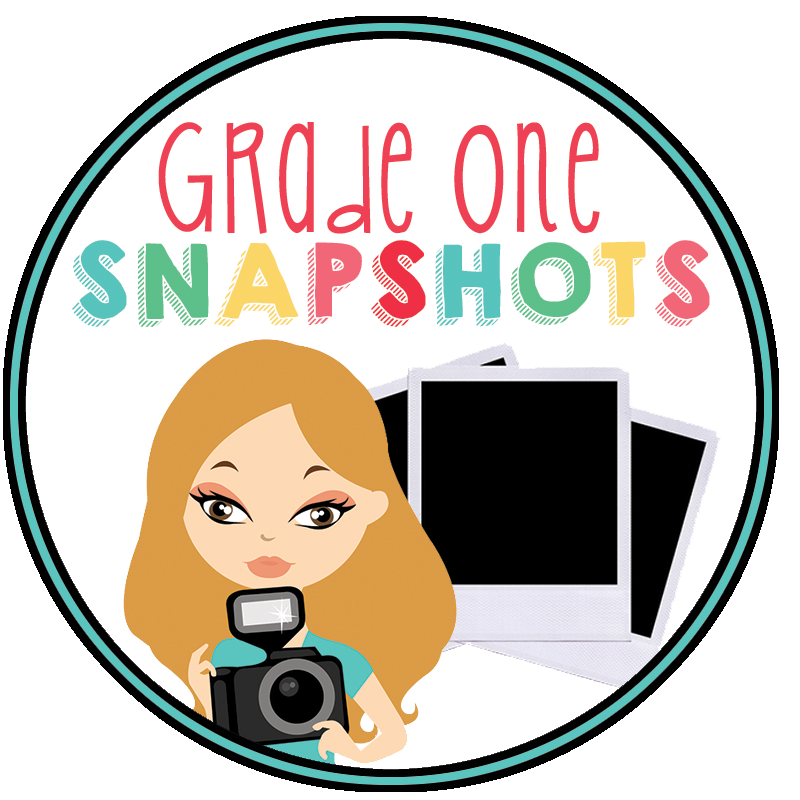 But with the ever increasing availability of amazing digital teaching resources, and the amount of creativity that I am exposed to on pinterest and on teaching blogs, I just don't feel like I need to stockpile as many things as before. It feels good that my boxes are no longer filled to bursting, and that the items I REALLY love are much more accessible and easier to find! Here is the counter that used to be piled with things at all times. I'm loving seeing clear counters. Let's hope it stays that way! If you have any organization tips, I would love to hear them! Please comment below. Update: A few days after my big spring cleaning, I headed over to Staples and picked up some nicer magazine holders. Doesn't this make a big difference? I actually can't believe I put up with them the way they used to be! Yikes!